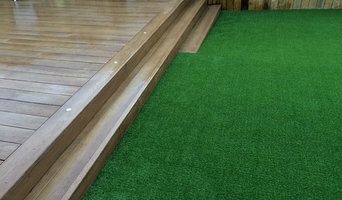 Cornwall Artificial Lawns are suppliers and installers of the finest artificial grass on the market, Namgrass, Namgrass produce soft luxurious grass that has a fully comprehensive warranty for 10-12 years. Not only have they supplied the Olympic stadium for the athletes park the are endorsed by the one and only property renovation expert Sarah Beeny. Garden Care Services offer garden maintenance and design to the people of Bromley and surrounding areas. Lawncare services Inc : Moss, weeds, fertiliser. Scarifying and aeration. Lawn mowing and strimming. 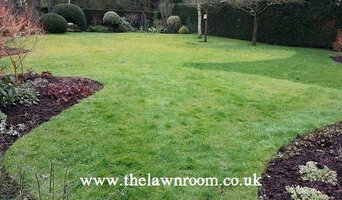 We supply high quality grass to landscapers and garden designers. We also provide installation services to the domestic and trade sectors. To most of us our home and garden are our pride and joy. Why not allow us to help you enhance that pride and joy, by giving you an emerald lawn to be proud of. Lawntech is an independent lawn care company based in the south of England. We pride ourselves in providing the highest standard of lawn care services to our clients using professional techniques usually found on top golf courses and sports grounds, "bringing green keeping to the garden". AMF Services have supplied the people of Milton Keynes and Bedford with a large range of garden maintenance equipment for over twenty-five years. At AMF Services, we not only supply lawnmowers, strimmers and chain saws but also repair and maintain them if you have any trouble with your equipment. South Hants Lawns is a local, independent family run business that cares about getting it right for your Lawn. 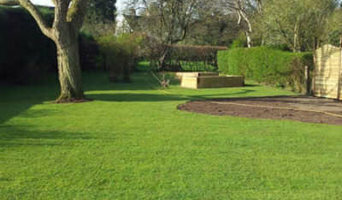 Be it a total Lawn Renovation, Scarification, Artificial Grass or Turfing, a Weed and Feed treatment plan or a Wasp Nest problem, South Hants Lawns can provide all that you need to get that perfect Lawn. Design, installation and maintenance service of automatic irrigation systems around Cambridge, Bedford, Huntingdon, Peterborough, Stevenage and more. Smart watering of lawn, flower and shrub beds, veggie plots and hanging baskets designed by gardeners. 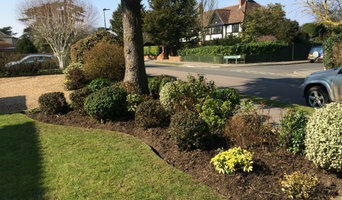 London Excellent Gardeners offer a wide range of gardening and landscaping services in London and pride our self on our reliability and attention to detail. Our lawn care and garden maintenance services incorporate all aspects of gardening: landscaping, weed control, planting flowers, trimming and hedging, mulching, lawn restoration, patio cleaning and general garden clearance. Turfcare Specialists are highly regarded experts in the field of fine turf. Having provided turfing solutions for a wide array of clients since 1984, if you want expertise and quality service then Turfcare Specialists are the obvious choice when you're looking for Artificial Grass. Why should I hire a lawn care services company? Lawn care services will be able to maintain large lawns by installing sprinkler systems for you and carrying out lawn treatments to keep your grass healthy and green. If you have a particularly large outdoor space to tend to, it could be worth hiring a groundsman to come and weed your lawn, remove moss and care to your sprinkler system on a regular basis. However, for most of us this probably won’t be necessary, but it doesn’t meant that you won’t need a lawn care professional at some point. For example, when planning a garden makeover you may need their services if you intend to include a patch of grass in your garden design. Lawn specialists can lay new grass and advise you on new lawn care so that you can keep your patch of grass, no matter how small, healthy and green for as long as possible. Or, if you inherit a lawn from a previous owner but aren’t sure what to do in the colder months, speak to lawn care services about winter and autumn lawn care. You may find that the groundsman or lawn care services professional you speak to also works closely with landscape gardeners who can help you with more aspects of your garden renovation and sprinkler system. Here are some related professionals and vendors to complement the work of lawn & sprinklers: Landscape Architects & Garden Designers, Landscape Contractors, Garden & Landscape Supplies. How long have you been in the lawn care or sprinkler business? Do you lay and plant new lawns or just provide lawn care? Can I hire you as a groundsman on a regular basis? If not, do you work with a professional groundsman who may be able to carry out regular work? Can you advise me on how to care for my lawn? Do you recommend any particular lawn treatments or products? Will you set up my sprinkler system? How do I change the settings? 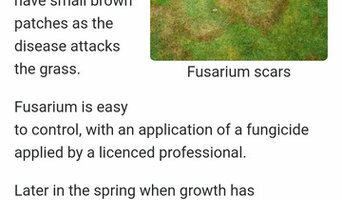 Is there anything I should avoid doing or using on my lawn? Find a lawn and sprinkler specialist on Houzz. Narrow your search in the Professionals section of the website to lawn care services, groundsmen and sprinkler system companies. You can also look through photos to find examples of lawns and sprinkler systems that you like, then contact the contractor or groundsman who worked on them.